There aren’t many books more beloved than The Tale of Peter Rabbit and even fewer authors as iconic as Beatrix Potter. Her characters—Peter Rabbit, Jemima Puddle Duck, and all the rest—exist in a charmed world filled with flowers and gardens. 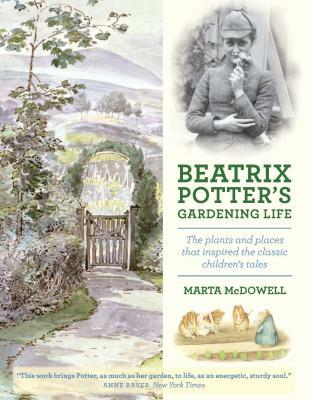 In Beatrix Potter’s Gardening Life, bestselling author Marta McDowell explores the origins of Beatrix Potter’s love of gardening and plants and shows how this passion came to be reflected in her work. The book begins with a gardener’s biography, highlighting the key moments and places throughout her life that helped define her. Next, follow Beatrix Potter through a year in her garden, with a season-by-season overview of what is blooming that truly brings her gardens alive. The book culminates in a traveler’s guide, with information on how and where to visit Potter’s gardens today. Marta McDowell lives, gardens, and writes in Chatham, New Jersey. She consults for public gardens and private clients, writes and lectures on gardening topics, and teaches landscape history and horticulture at the New York Botanical Garden, where she studied landscape design. Her particular interest is in authors and their gardens, the connection between the pen and the trowel.